I was recently interviewed by John Jantsch, author of Duct Tape Marketing on why it’s important for dentists to have a unique selling proposition. John Jantsch: Hello, and welcome to another episode of the Consulting Smart podcast. 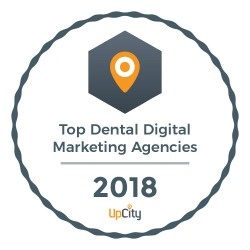 This is John Jantsch with Duct Tape Marketing, and my guest today is Chris Pistorius with Kickstart Dental in Denver, Colorado, or the suburb of Denver, at least. Chris, thanks for joining us. Chris Pistorius: Thanks so much for having me, John. It’s a pleasure. John Jantsch: Now, you have another business as well as Kickstart, so tell us about that as well, and then we’ll kind of, as we’re going here you can kind of round out which business you’re answering for. Chris Pistorius: Well, kind of both, but yeah. Obviously Kickstart specializes in dentistry, so we help dentists grow their practices, but at the other side of our business and our other agency is called Ifuse, I-F-U-S-E, Internet Marketing, and that’s where we really specialize in helping the service-based businesses, like contractors and attorneys, and eye doctors, and everything else that needs some marketing help. John Jantsch: So how did you get into the world of online marketing? Chris Pistorius: Yeah, you know I’ve just been doing it long enough, I guess. I’ve been in local online marketing for a little over 15 years now. I used to work, back in the day when internet advertising was new, I used to work for AOL Time Warner, and I was actually a sales rep for them, but locally focused. We would go hit local-based businesses, but at the time, all we really had to sell were banner ads on AOL. So it was quite an exciting time and a lot of growth there. Then I moved on. I stayed in the business and I moved onto a couple of other digital agencies out in LA and then here in Denver. Most recently, before I started my businesses in 2009, I worked for a large media company called Dex Media. They’re really known for the phone book, obviously, but my business partner and I actually ran the digital side of that business, when they decided to get into the digital side of the business. So we ran online advertising for local companies. We ran the whole product for most of the west coast of the United States. In doing that, I saw a huge need in … you know, we’d go see these small and medium sized business owners, and they were just confused about where should I spend my dollars? What’s going to work the best for me? I don’t have a ton of money to test to see what’s going to work and what’s not. So we decided to create this business, Ifuse, to really try to bridge that gap and help small and medium sized business owners kind of untangle the web and figure out what’s going to be the best play for them. John Jantsch: It’s so funny. There’s an army of consultants like yourself that worked for YP, or Dex or somebody like that, and so they got a taste of the online marketing and working with small businesses, but a lot of the times, they realized, we don’t have a really good product that we’re selling to these folks. Chris Pistorius: Yeah, exactly right. Sometimes it was more about the company needed to sell versus what was right fit for the company we’re selling to. That was disappointing to me, and unfortunately I learned a lot about not to do, but I also learned about what works for small businesses, too. John Jantsch: Yeah, and that’s what I mean, I think a lot of those folks then said, “Hey, I could do a lot.” This is a need and this is an exciting field. I’m going to go out and do it myself the right way. What was the hardest thing about starting your own business? Chris Pistorius: Honestly, you know they say you’re supposed to do it when you’re single and you’re young. You know, if it fails, it fails, you can go figure something else out. I decided to do it when I was in my, I guess, mid-thirties, and I had a couple of kids and married and mortgage and all that and I had a pretty nice job that I left to start this with zero revenue, so I guess that was probably the hardest thing, just to jump and do it and try to grow the business as fast as possible so I could keep up with my personal expenses, too. John Jantsch: I had a similar story. I think I had four children at the time I started my business. When you’re sitting across from one of these law firms or doctors and maybe they’re considering a couple people and they say, “Why you? Why should we hire you?” Do you feel like you have a good point of differentiation? Chris Pistorius: Yeah, you know I think … I got a lot of this actually from the stuff that you’ve written. I based a lot of my early company off that, actually. We really thought long and hard about … even 10 years ago this business was starting to become a bit of a commodity, and I think it’s even more so now, so it’s more important than ever to have that USP, or your unique selling proposition. What does make you different from everybody else that’s offering the same type of services? We really came up with some unique ways to tackle this business. For instance, we don’t do contracts. Everything with us is month to month. We feel as though, if we’re not pulling our weight, then there’s no reason really that we need to lock anybody into an agreement, obviously with the expectation that marketing takes a little bit of time and there’s a lot of build up between that. We also only work with one industry per market, if that makes sense. If we have a plumber in Denver, for instance, that’s the only plumber we’re going to work with in Denver. Otherwise, we believe that’s a conflict of interest. So we’re not going to take on a bunch of their competitions. Things like that, as well as we do offer a money back guarantee, if within the first month, the client doesn’t feel as though things are going well. Again, there aren’t going to be tremendous results in that first 30 days, but if they don’t like the communication that’s going on, if we’re not doing what we said we were going to do in those first 30 days, we’ll actually give them 125% back of that first month. Just unique things like that. Obviously, quality of work. We do everything in house. We don’t ship stuff overseas. We’re a smaller, boutique agency, but our processes are so fine-tuned that we can do a lot of work and still be able to do it by hand without automation. Which obviously, as you know, just makes the quality that much better. John Jantsch: You bet. What’s been your best way to win business? Not necessarily win business, but how do you get in front of people? What’s been your best way to get leads and get attention? Chris Pistorius: A couple of different ways. There’s no magic bullet, I’ve found to this. It’s not like you’re going to find this magic bullet and all of a sudden you’re going to have a hundred brand new customers at your door every day. We’ve tried a lot of things. Currently, what’s working well for us are inbound marketing efforts. Writing content. Giving things away for free. Doing outbound marketing to create an inbound response, sort of, I guess. We’ve found a lot of stuff from that, from going to our website and downloading a free report. I wrote a book a couple of years ago. That’s done well for us, and we give that away free on our website. Things like that, we also have some outbound, we have a couple of outbound lead-generators that are helping us drive up some business. And on the Kickstart Dental side, anybody that’s listening that’s ever tried to sell to a dentist knows that it’s probably one of the hardest industries to crack into, just because the gatekeepers are so well-guarded. We’ve actually done well locally sending people out door to door if you will dropping off what we call lumpy mail, addressed to the office manager or the doctor. And that’s creating an inbound response, so we do that in a few markets as well. John Jantsch: Awesome. And it’s music to my ears to hear you talk about lumpy mail. Chris Pistorius: It’s an old concept, huh? John Jantsch: I asked you what was the hardest thing about it. What’s your favorite thing about what you do? Chris Pistorius: You know, it’s funny because when I was in corporate America, it was secure, or definitely secure as it could be, I guess, and it was consistent. You knew what was going on. But it was hard for me there, especially at the end, to get out of bed and be really excited about going to work. And for me, that was a problem. I think the best thing about this is that I can kind of guide my own company the way I want to, and I’m excited to get out of bed every morning and go figure out what’s going to happen today, we just never know for sure. Things change on a dime in this industry, and especially with young companies that are growing, so it’s very exciting. John Jantsch: How do you keep up on what’s going on, what’s changing? What are some of your favorite sites, books, resources for that? Chris Pistorius: That’s a great one. I’ve got a few. Obviously, the big ones are like Search Engine Land, stuff like that. Moz is a big one for us with SEO. What is that one … Local Search Forum, we’re a member of, is great. UpCity also publishes some good content about what’s going on. I’m a part of a couple of different Facebook groups that have agencies like mine and we talk about ideas and things. A couple of different mastermind groups, if you will. It’s really a combination of those things just to try to keep up with what’s going on in the industry. John Jantsch: What about tools? What are some of your favorite tools that you like for, maybe for running your business or doing the work for your clients? Chris Pistorius: Again, that’s a long list too, but some of the top ones I would have to say … UpCity keeps us on track in terms of SEO. 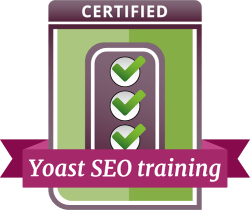 They kind of make that machine for you so that you can plug in and employ and give them a little training and they should be able to do their jobs pretty efficiently on SEO. We’ve been using a lot of the Google AdWords Planner recently. I think they’ve made enough changes to it now that it really helps us as sales tool. We can go into a plumber and say, “Look, ABC Plumber, there’s 1400 related searches that happen in your industry in your market every month just on Google. Right now, you’re invisible to those people. You’re not interviewing for those jobs. What we’re going to do is get you visible. Get you interviewing for those jobs and help you get found and chosen.” So that’s a really good tool to build urgency and to build your market demand when you’re talking to new clients. Those are probably my two favorite right now. John Jantsch: There are a lot of tools out there that show people how bad off they are. I think sometimes that kind of scare tactic helps a little work. I think, really, it’s a very legitimate practice, because what you’re really showing people is where they have gaps and I think helping them understand priorities. Because I think when people just look at, a lot of small businesses just look at their online presence, it’s just like this big ball of soup, and somebody’s gotta show them, “Well, we need to add this and we need to add this and we need to add this,” so it’s good soup. Chris Pistorius: I totally agree. John Jantsch: How can people find out more about … I know you’ve got a couple of places you might want to send people, so where can people find out more about what you do? Chris Pistorius: I think our website’s going to be the best, or at least I hope it is. That’s what we do for a living, so I would hope it’s good enough to inform people. Ifuse is just I-f-u-s-e-I-m as in Mary.com, so Ifuseim.com, and then KickstartDental.com. Those are our two sites of our two different agencies. John Jantsch: Thanks for taking the time to share a little bit about your practice. This is always fun for me, and I’m a big fan of Denver, I get out there to the mountains at least a couple times a year. Maybe we’ll run into on one of those. Chris Pistorius: Okay. Thank you.